John is an associate partner in international education and innovation. 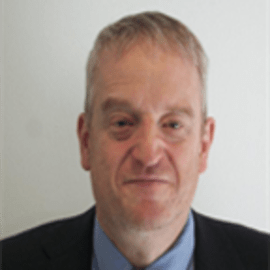 John is highly experienced in China, the Middle East and other major markets, John is a specialist in transnational education (TNE) strategy and its operationalisation. John was responsible for building the University of Central Lancashire’s (UCLan’s) highly successful franchise programmes with Guangdong University of Foreign Studies, Shanghai University of International Business and Economics and City University Hong Kong. John has also worked with the Chinese government’s Hanban department to bring a Confucius Institute specialising in training  teachers of Mandarin  to UCLan Preston. John is a qualified teacher and former Teaching Quality Assessor with over 30 years’ experience in the school, college and university sectors. During his time as pro vice-chancellor international at the University of East London, the University went on to win the coveted Outstanding International Strategy award at The Times Higher Education Leadership and Management Awards in 2012. John is currently engaged in several major international university and school projects in China, South East Asia and the Middle East. C&W’s team source education partners as well as developers, investors, sites and oversee all aspects of project management.